I didn't want it to end." "What a super book " "One of the best books I've read." "Gavin Whyte has penned a masterpiece." There is a season for everything. If you enjoyed Antoine de Saint-Exupery's The Little Prince, then you'll love this. Described as, "Moving," "Uplifting," and "Enlightening,"
I didn't want it to end." "What a super book " "One of the best books I've read." "Gavin Whyte has penned a masterpiece." There is a season for everything. If you enjoyed Antoine de Saint-Exupery's The Little Prince, then you'll love this. Described as, "Moving," "Uplifting," and "Enlightening," The Girl with the Green-Tinted Hair is a spiritual fable about personal growth and about seeing how truly magical life is. When a boy finds a girl singing and dancing under his favourite tree he didn't realise he had been chosen to be the one-off witness to something out of this world. The boy is shown how to live in joy and is reminded of how to pursue his life's calling. 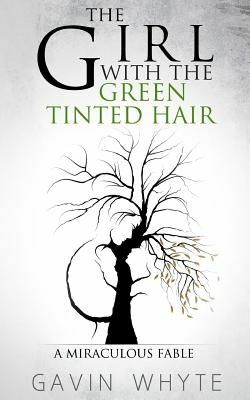 His fear of ageing is overcome and dying is no longer what it seems - all because of the girl with the green-tinted hair. In this truly comforting tale of wonder and intrigue, which has been called "a masterpiece," we discover for ourselves how to live in harmony with that which is forever flowing; that which we call life.